You are here: Home / Church Talk / Does Every Sermon Have One Purpose? If all you’re hoping for is to survive the ordeal, or to amuse and delight the crowd, then you’re not making a presentation, you’re merely an entertainer, or worse, wasting people’s time. One of the things of which I had to take more initiative in my seminary “standard package” was preaching. My alma mater was terrific in 49/50 other areas, but during my years there the preacher professor was being replaced, and so the dean of the chapel taught the preaching class. It was….very theological. So I tried to supplement my mandatory education by taking another preaching class taught by a black preacher in the area, and I interned under the finest preacher I could find for my field education. One of the tenets that I picked up from that self-laid emphasis–and continue today for every single sermon–was a “Behavior Purpose Statement.” This was taken from Frank Thomas’s seminal book They Never Like to Quit Praisin’ God, where he says in his “Preaching Worksheet” (pp.74-80) that every sermon must have a change in behavior at its core. Behavior Modification Purpose: To see baptism as being charged with the mission of Jesus Christ to transform the world and to be okay with uncertainty along the way. Like Godin, I want each sermon to mean something, not to simply be “pleasing in the sight of God” but to evoke real change of behavior or opinion–and by opinion, I mean the way we live out our opinions. But it occurs to me that others may not see behavior change as the purpose of preaching but that it is a more philosophical or spiritual exercise. This is a struggle as each person comes to the sermon with a different desire–is it right for us as preachers to want just one thing for our congregation: that they change their behaviors? Because if people’s behaviors don’t change, are we, as Godin says, just wasting people’s time? Should sermons be about behavior change? Is that the expressed result of every single sermon? Are there sermons that were meaningful to you that didn’t involve behavioral change? Last one: Is the Sermon on the Mount about behavioral change? For further reading: the United Methodist Clergy group is discussing Godin’s article here. Behavior change at the center? Many times, yes. But other times the sermon needs to be much more about God than about people and in those cases call not for change but for praise and reflection. I can’t believe I ever preached four point, fill in the blank on the outline, sermons. A sermon isn’t necessarily about behavior change in our tradition. It’s about heart change. Are our motivations changed? Is the way we view the other, the outsider changed? I don’t mean “Act nicer” nor do I simply mean “Treat others better.” I’m talking about being motivated by a sincere heart of love. I mean viewing the strange as being as fully human as myself. Not seeing them as lesser. So, has this sermon changed a heart? An outlook? A life? Has it broken the proud and given grace to the lowly? An alternative view is that once behavior changes, the heart then follows. Sort of like those people who stay married for lifetime don’t always love each other but by their behavior they remain committed. And then love returns in the empty nest / later years of life. I think you’re pretty much on-target. I may want some sermons to provoke behavior evaluation first with a possibility of change later, but much of the time I am calling for a change in myself as well as in others who may be listening, based on the idea that God is speaking to me and asking me to change as well. I suppose someone at sometime might have truly encountered God and come away not feeling a call to change and growth, but those times are probably rare. Some years back Joseph Stowell proposed that preaching should both inform and transform us by 1) deepening our knowledge of God, of God’s will, and of ourselves in relationship to God, as well as 2) fostering growth into holiness. Furthermore, if we overly emphasize knowledge at the exclusion of the transformation of the heart, we invite growth in pride over what is known. Conversely, if we concentrate on the heart without feeding the head, we encourage discipleship that is devoid of direction… like a ship with no chart or compass. Even when the preaching focuses on God, our encounter with him cannot but transform our hearts and, as a result, bring forth more sanctified living. So, the objective of preaching is always about deepening our relationship with God (whether through conversion or growth into holiness); changes in behavior are the byproducts of a stronger communion with God. I would say that behavior modification should not be viewed as the only purpose of homilies. This certainly is the dominant theme in much of John Chrysostom’s work, but even then, one can see two other important purposes, which much of the time in his work surpassed any effort at behavior modification. 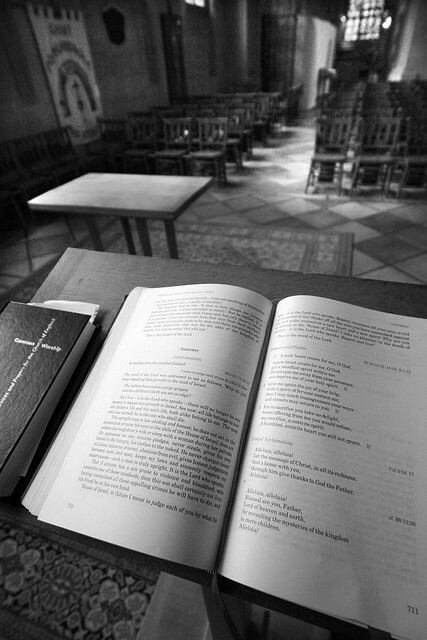 Of vital importance in cultivating the faith amongst the laity is answering difficult theological questions; here, the pastor should not strike out on his own, but rather, refer to Church tradition, which has solved most of them (although new legitimate questions do continually arrive due to the development of human society). The other important purpose is in giving comfort to the believers. During a funeral, or at other times when the laity may be under severe stress, one should not attempt to exhort them with a fire and brimstone sermon, but rather, comfort them; John Chrysostom demonstrated an aptitude for this with his Paschal Homily, which I would very much like to see become a standard part of the UMC liturgy. The threefold objectives of the sermon can be seen in a Trinitarian light: in the manner of the father, the pastor must clearly describe the fundamental truths as understood in Christianity, in the manner of the Son, the pastor must exhort the congregation to greater morality; in the manner of the Holy Spirit, the pastor must comfort the congregation when they are distressed.